There are many challenges to growing a business, sustaining a business, and definitely changing a business. 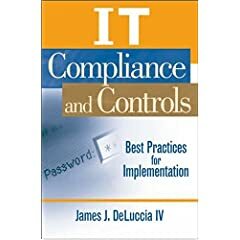 The latter, most would agree, is by far the hardest and largest challenge for organizations seeking to adopt controls throughout the business. Now controls is a generic term being used now to include policies, procedures, technology safeguards, and routine human manual activities that seek to provide consistency of operations. As an advocate of trying to build control environments that reflect the business culture instead of forklifting a standard method (i.e., dropping COBIT 4 onto the business and walking away), it is encouraging to see how a study out of the University College of London support the potential of dense populations. The UCL study found that “High population density leads to greater exchange of ideas and skills…” This is profound when one considers how a business core team spends more time together then they do apart. Even a common joke is that those who work together spend more time together then they do with their own spouses. The takeaway from this study is that businesses with core teams that work intensely together will excel where those alone cannot, and this is pointedly true with implementing a control environment. It is true that bolting on a new standard or government set of mandates is inefficient, but what most fail to capture is how innovative businesses can be when working together to solve these problems together. Check out the interesting study here from the University College of London. Moving forward – consider forming tight teams that are semi-permanent that are focused on finding innovation in the controls themselves to constantly uncover efficiencies and opportunities.